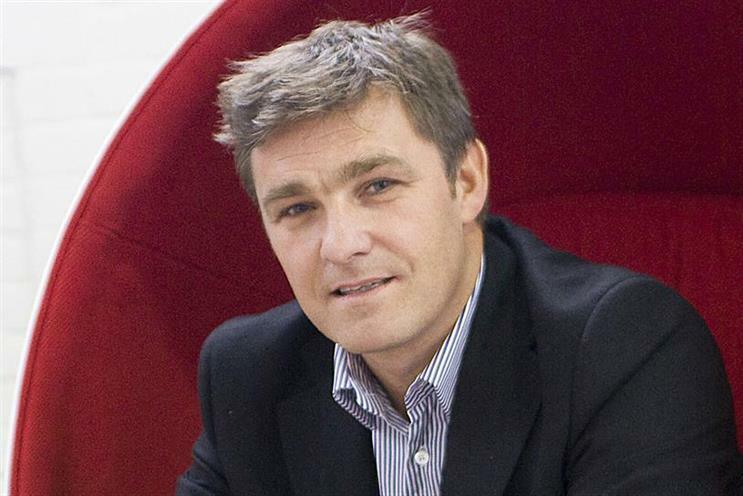 Ewen Sturgeon has resigned as chief operating officer at Publicis.Sapient International in order to pursue opportunities outside the marketing industry after 26 years of agency life. He said he intended to take a few months off "with a view to getting back into something full-time in the new year, ideally outside the marketing industry". Award-winning filmmaking collective Traktor has split with Rattling Stick and signed an exclusive global deal with Stink. The move will see Stink expand its representation of Traktor globally to include the UK and US markets. The Scandinavian filmmaking collective previously signed to Stink in October for representation outside of the UK and US. It has been with Rattling Stick in those markets for the past three years. Britvic has promoted its GB brand director for carbonates, Bruce Dallas, to national marketing director. Dallas joined Britvic in December 2015 from Diageo, where he was marketing director for Guinness Anchor Berhad in Malaysia. He previously held roles at Unilever and Robertson’s Foods. Dallas replaces Kevin McNair, who is stepping down after three years. Patrick Affleck, president of Vizeum US, is returning to the UK as chief executive of Dentsu Aegis mobile agency Fetch following Jo Sutherland's move to Carat. Affleck was a managing partner at Vizeum UK before moving to a global innovation role and then to president of Vizeum US. Procter & Gamble has promoted Katharine Newby-Grant to marketing director for Northern Europe, while incumbent Stefan Feitoza is returning to Latin America. Newby-Grant has been head of media for Northern Europe at the FMCG giant since 2014. She joined the company as a graduate in 2000 and spent 10 years in brand management roles in London and Geneva, becoming associate brand director in 2011. Exterion Media has appointed Julian Carter as regional sales director for the North. Prior to Exterion, Carter was group commercial director at Wireless Group, group sales director at GMG Radio, and had roles at both Capital and Century Radio. Havas Media has hired Rob Breese as a managing partner, responsible for leading a number of key clients. Breese, who took up the role this month, will be responsible for continuing the development of the Kia business as well as Mitchells & Butler and Freesat. He joins from his role at Essence where he was responsible for leading planning and strategy for the BT EE business in the role of group strategy director. Big Cat has promoted associate director Hannah Davies to managing director. Founder Anthony Tattum will move into the role of chairman. L'Oréal's former chief marketing officer for Western Europe, Hugh Pile, has chosen not to return to the business following his planned one-year sabbatical. Instead, he will remain in his role as chief sales and marketing officer at Blue Skies, the fruit business owned by his family. Jon Forsyth, one of the four Adam & Eve founders, has resurfaced as strategy partner at UK and US agency combination Troika/Mission Group. The group was formed by the merger of Los Angeles-based creative and sports marketing agency Troika and New York and London-based PR and experiential agency Mission (not to be confused with UK-listed Mission Marketing Group).